On October 10, 2016 the State of California’s Department of Business Oversight issued a cease and desist order against Source Capital and James Duhon over allegations they participated in an unqualified offering of securities to California residents. The claim relates to an offering of securities in oil and gas programs overseen by the Blue Ridge Group, and includes the Belmont Drilling Program, the Galveston Bay Drilling Program and three other oil and gas drilling programs sold by among others, James Duhon and Source Capital. The order also alleges that Source Capital and James Duhon offered and sold unqualified securities to the public by way of material omissions of fact. The Commissioner alleges that from September 2010 through November, 2012, James Duhon and Source Capital sold oil and gas securities to investors without those securities being qualified for sale, and by way of either material omission of fact or through material omissions, including the rate of return that investors could expect from the programs managed by Blue Ridge Group. One California based investor was told he could receive his money back any time he asked for it, which the Commissioner found to be materially inaccurate. As a result of the findings the Commissioner concluded that Source Capital and James Duhon, as well as the Blue Ridge Group and the drilling companies violated the California Corporate Securities Laws by selling unqualified securities, and by selling securities by way of material omissions of fact. 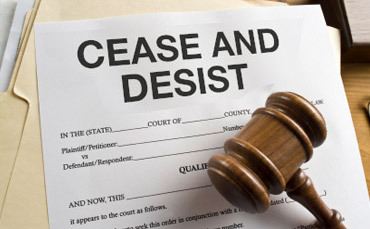 The above allegations contained in the Department of Business Oversight’s cease and desist order have not been proven, and the issuance of a cease and desist order represents the Department’s initiation of a formal proceeding in which findings as to the allegations in the cease and desist order have not been made, and does not represent a decision as to any of the allegations contained in the cease and desist order.